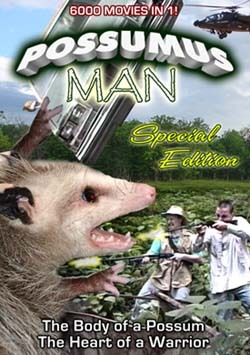 Sequel to our 1995 movie “Possumus Man”. Rustic Resort has a new owner but an old problem has resurfaced – a giant killer possum! Anti-heroes Grady & Jamie are called back to deal with this menace, grappling with Secret Service agents, the Department of Homeland Resources, possumatologists and even the president’s daughter along the way. Contains violence, some of it bloody, and some rough language. My loving emulation of a bad 1950’s horror movie. Filmed in black & white DV with vintage costume, props etc. Computer filtered to look old and emulate framerate. This is probably my favorite movie project, since I had a relatively easy time filming it and was quite pleased with the results. The fact we did the entire thing in 9 months didn’t hurt either! 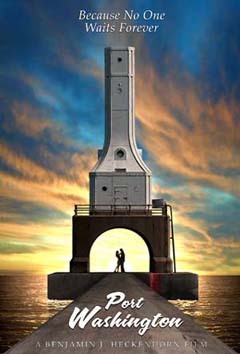 1999 – Color – 60 minutes – Written by Benjamin J Heckendorn, Mike Adsit and Ben Koelsch – Produced by Benjamin J Heckendorn and Ben Koelsch – Directed by Benjamin J Heckendorn. 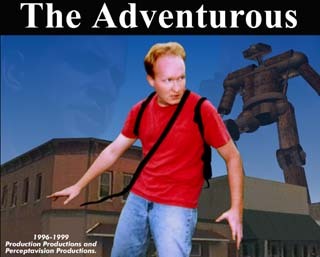 The high-tech sequel to “Adventure” Not as long, but done better and faster paced. Includes many more robots and explosions. Took an amazingly long 2 years to make, which looking back now seems like a bargain. 1996 – Color – 105 minutes – Written by Benjamin J Heckendorn and Dale Nauertz – Produced by Ben Koelsch – Directed by Benjamin J Heckendorn. 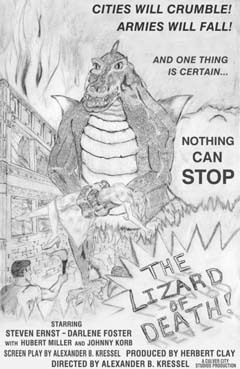 The first “big” movie we made. By that I mean full-length, done with decent cameras and professional editing equipment. Has an action-adventure plot involving the Amazon, a lost band of Nazis attempting to take over the world and all sorts of craziness on that level. Thus far, also my longest movie to date and the only one with a musical number. 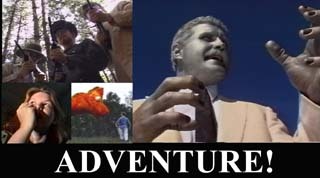 1995 – Color – 30 minutes – Written by Benjamin J Heckendorn and Mike Adsit – Directed by Benjamin J Heckendorn. 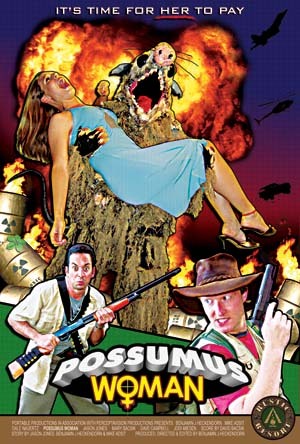 What originally started as a “House on Haunted Hill” ripoff (long before the remake, mind you) ended up as a movie about fighting a giant (well, man-sized) killer possum. The original tape-to-tape edit left a lot to be desired, but this remade 2007 edit is much closer to being an actual coherent movie. This is the most-quoted movie by my friends and those involved, it has kind of a cheesy / enduring legacy about it.